We fell in love with rafting decades ago. Now it’s your turn. 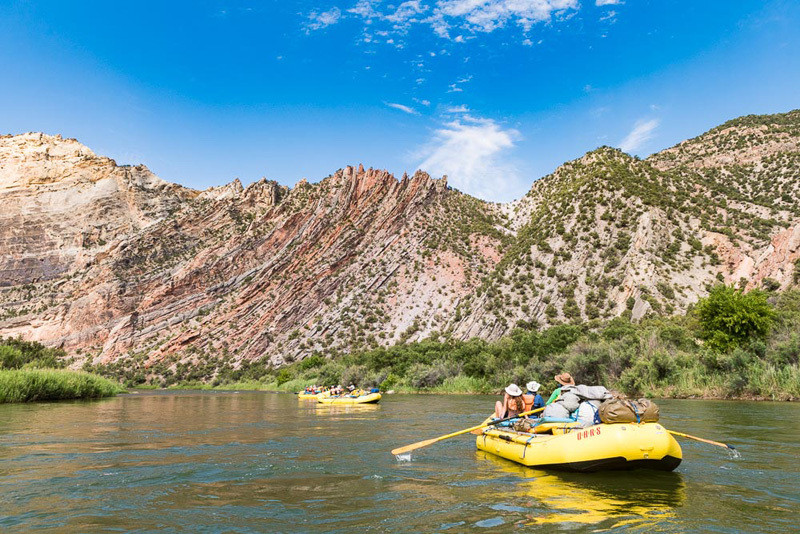 From stunning scenery and wildlife sightings to lively whitewater and backcountry camping with perks, there’s a lot to love about river trips. 1) Water. Is. Awesome. Kids, babies, adults, plants, animals – pretty much everyone and everything loves water. After all, it is life’s most basic necessity. But it’s also great to play in (or on), relax next to, or even just look at. In fact, there are studies that show how just being near water can provide beneficial health effects. And what better way to spend endless hours on water than a rafting trip? It’s really just basic math: water = awesome and rafting = water; so, rafting = awesome. 2) Eat, drink and be merry! Ever tried to bring a Dutch oven on a backpacking trip? Didn’t think so. 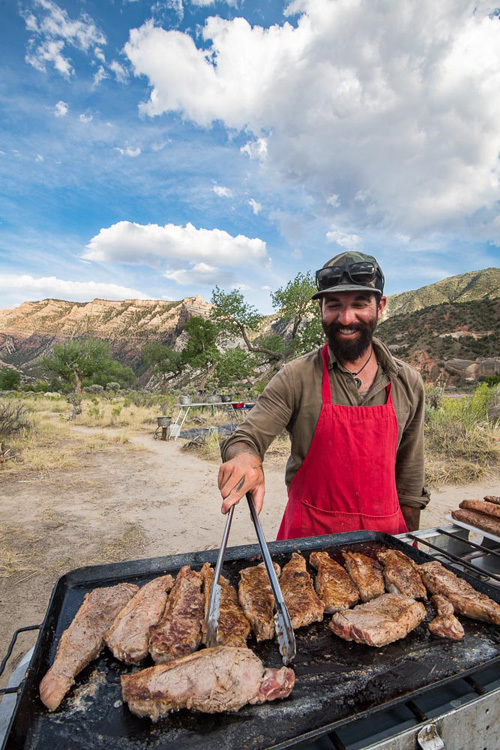 Ditch the freeze-dried meals and fussy lightweight stoves and go big on a rafting trip. Coolers of beer? Yup. Steaks and fresh veggies a week into a hot, summer trip? No problem. Ice for a cocktail? Yes, please! Sure, I’ve “enjoyed” my re-hydrated chili mac after a long day of backpacking, but I’ll pack and unpack a boat full of gear with absolutely no complaints if it means a day-four-of-the-raft-trip burger dripping with cheese and topped with freshly-cooked bacon. Plus, with room to bring a nearly complete kitchen along, cooking all that food is a whole lot easier. 3) River time. 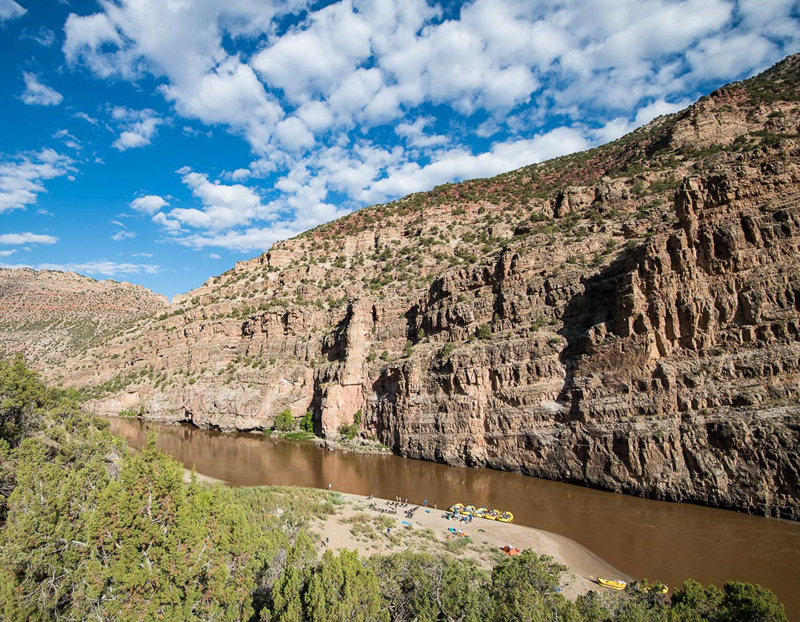 Whether you push off from the put-in for a day trip or a month-long Grand Canyon expedition, you’re on the river’s schedule. Time shifts on a river; your days are dominated by simple tasks that allow your mind to slow down and open up. 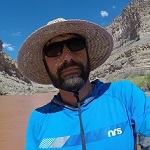 The pace of rafting trips offers something for everyone – a turn at the oars, a catnap, fishing, hiking, reading, swimming. Hours and days drift by in a watery blur and the stresses of the “real world” drift away too. 4) Whitewater! Mellow floats with ample relaxation time are great antidotes to today’s hyper-fast lifestyles. But when the water speeds up and the wave trains rise, rafting gets real. Real fun! 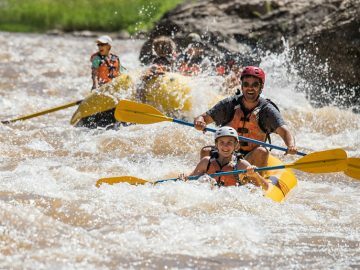 There’s a reason there are hundreds, if not thousands, of whitewater rafting operations in the U.S. – it is about as much fun as you can legally have. 5) Location, location, location. 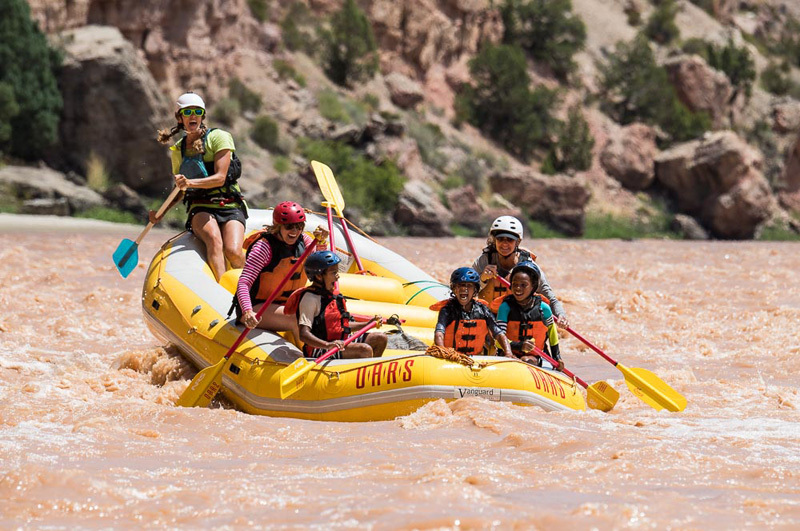 Sheer canyon walls, verdant riverside forests, rugged mountains stretching to the sky, quaint riverside towns, and even urban, post-industrial landscapes provide captivating backdrops for nearly every rafting trip you could do. 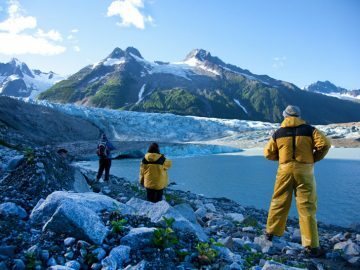 And if that isn’t enough, most rafting trips bring you up close and personal with some pretty rad wildlife: stately bald eagles, graceful herons, beavers, otters, muskrats, bears, deer…you get the point. At some point each day, just about everything swings down to the river for a drink. 6) A family that rafts together, laughs together. I’ve watched many friends sell off kayaks, canoes, and SUPs to buy rafts. Why? One word: kids. Rafts can haul a ton of gear and are large enough to accommodate multiple people (toddlers, teenagers, and maybe a friend or two). There are few other settings where putting the entire family in a 100-square-foot space for days at a time would be anything but a disaster. 7) Lasting memories. 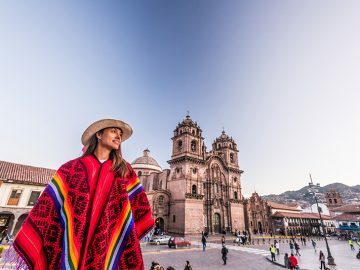 At the end of the day, all the thrilling whitewater, stunning scenery, delicious food, and sweet camp luxuries don’t mean squat if you’re not sharing these experiences with others. And whether you’re rafting with people you’re close with or just meeting for the first time, inevitably, lifelong memories are made. That’s why it’s so easy to fall in love with rafting.